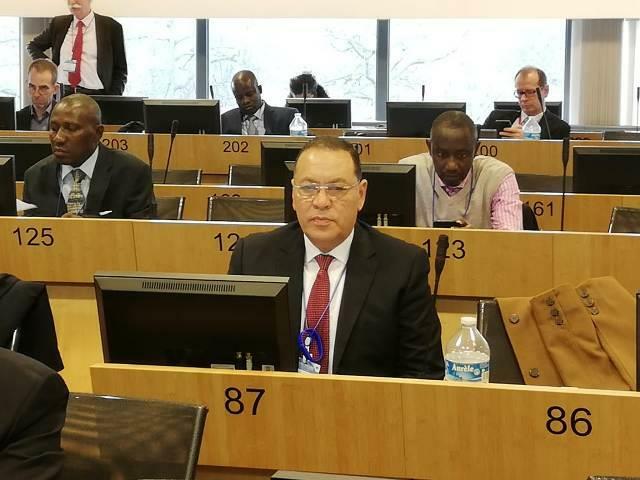 Today, the activities of the International Forum "Cooperation of Cities of Urban and Regional Partnerships for Sustainable Local Development launched in the Belgian capital Brussels, in which Dr. Mamdouh Ghorab, Governor of Al-Sharkia, represented of the Arab Republic of Egypt, and the international representation of 80 countries. The European committee and the European commission union for the Regions organized it to discuss sustainable urban development and improve decentralized cooperation between cities. Al-Sharkia Governor confirmed that his participation in this forum because of joining Al-Sharkia to the International Federation of Francophone Cities (AIMF) recently. This participation is the first Egyptian participation in such forums. The Governor said that the first day of the forum brought up a discussion on several important topics, including sustainable urban development partnerships, the presentation of successful partnership initiatives between cities and regions, and the presentation of EU peer-to-peer cooperation where debates aim to create policies and recommendations on EU institutions, Sustainable urban development and how to apply it in their country. The Governor added that the workshops held a discussion to activate the development of water services in the participating countries, safe disposal of waste, preservation of the environment, find solutions for energy shortage, development of the health system and empowerment of women. Al-Sharkia Governor received in the previous January Mr. Pierre Bière Permanent Secretary of the International Federation of Municipalities and Francophonie of the Cities of Paris (AIMF) to activate the accession of the governorate of the International Federation of Francophone and discuss ways of cooperation between the Union and the governorate in the service of the environmental and health sector.